This primary hybrid blooms a high flower count on a tall, arching inflorescence like both of its species parents. 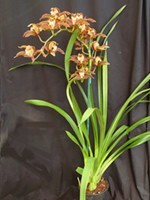 From the crossing of Cymbidiums tracyanum and lowianum. 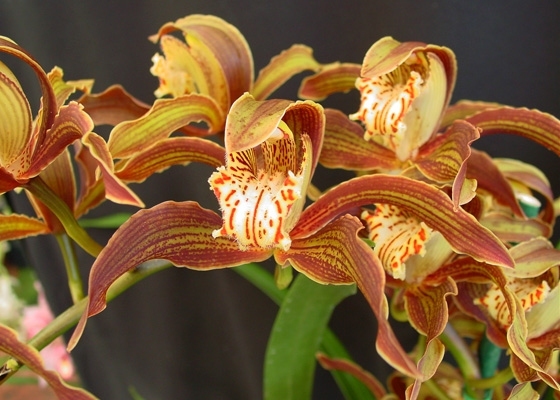 This plant retains the stripes and bronze color of Cymbidium tracyanum, while the influence of Cymbidium lowianum moves the blooming period to a couple of months later. .February - March blooming.